Serve ribs directly from the grill or, for extra tender ribs remove from grill, wrap in heavy aluminum foil. Place foil-wrapped ribs in brown paper bags, close bags and let ribs rest for up to an hour. 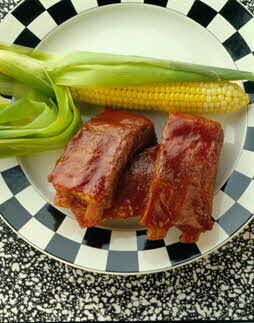 Unwrap ribs, cut into serving pieces and serve with extra barbecue sauce.